A truly special memorial keepsake for the loss of a loved one. 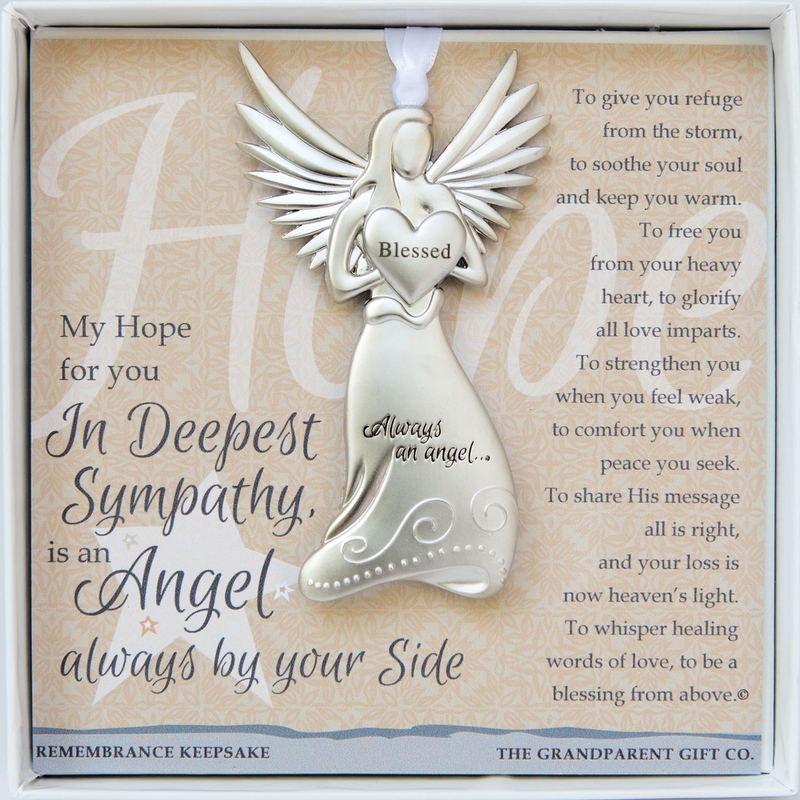 It is a remembrance gift of comfort for grieving families. Our 4 x 2.25" Angel comes gift-boxed with a touching poem by Teri Harrison. Medallion hangs on a silver-satin ribbon to be displayed year-round. 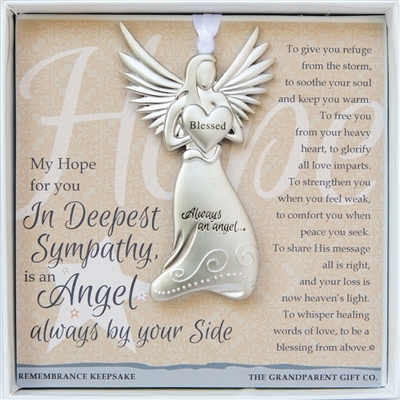 Express your sympathy with this daily reminder that their angel will always be by their side.